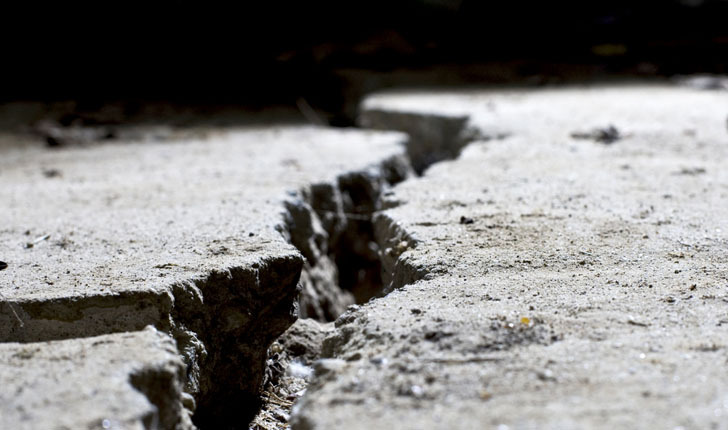 Cracking Concrete - Steve's U-Cart Concrete, Inc.
Cracks rarely affect structural integrity. Most random individual cracks look bad and, although they permit entrance of water, they do not lead to progressive deterioration. They are simply unsightly. 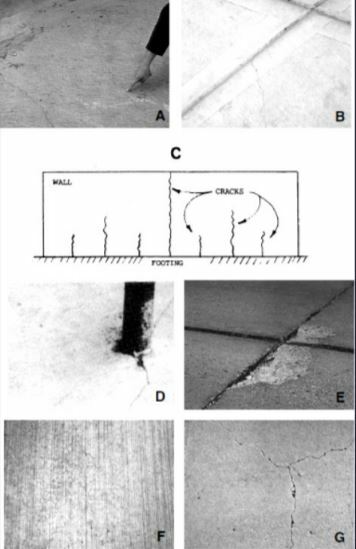 Closely spaced pattern cracks or D-cracks due to freezing and thawing are an exception and may lead to ultimate deterioration. C) The use of high slump concrete or addition of water on the job. E) Inadequate or no curing. How to Prevent or Minimize Cracking? can be reduced and controlled if the following basic safeguards are observed. A) Subgrade and Formwork. All top soil and soft spots should be removed. Regardless of its type, the soil beneath the slab should be well compacted by rolling, vibrating or tamping. The slab and, therefore the subgrade, should be sloped for proper drainage. Smooth, level sub grades help prevent cracking. All formwork must be constructed and braced so that it can withstand the pressure of the concrete without movement. Polyethylene vapor barriers can increase bleeding and greatly increase cracking of high slump concrete. In these circumstances, when possible, reduce the water content of the mix to reduce bleeding. In the absence of vapour barriers or retarders, immediately prior to concrete placement, dampen the subgrade, formwork, and the reinforcement. C) Finishing. DO NOT perform finishing operations with water present on the surface. Initial screeding must be promptly followed by bull floating. For better traction on exterior surfaces, use a broom finish. If evaporation is excessive, reduce it by an appropriate means to avoid plastic shrinkage cracking. Cover the concrete with wet burlap or polyethylene sheets or use a monomolecular film in between finishing operations, if conditions are severe. D) Curing. Start curing as soon as possible. Spray the surface with liquid membrane curing compound or if moist curing, cover it with a non-woven geotextile and polyethylene sheets and keep it moist for at least 3 days at a minimum temperature of 10oC. Follow the manufacturer’s recommendations for application rate of curing compounds. E) Joints. Provisions for contraction or expansion movements, due to temperature and/or moisture change, should be provided with construction of contraction joints by sawing, forming or tooling a groove about ¼ to ⅓ the thickness of the slab, no further apart than 25 times the thickness. Often closer spacing of control joints will be necessary to avoid long thin areas. The length of an area should not exceed about 1.5 times the width. Isolation joints should be provided whenever restriction to freedom of (either vertical or horizontal movement is anticipated; such as where floors meet walls, columns, or footings. These are full-depth joints and are constructed by inserting a barrier of some type to prevent bond between the slab and the other elements. F) Cover Over Reinforcement. Cracks in reinforced concrete caused by expansion of rust on reinforcing steel should be prevented by providing sufficient concrete cover (at least 50mm) to keep salt and moisture from contacting the steel.